Driving simulator, table-top design. Lights and mechanical parts. 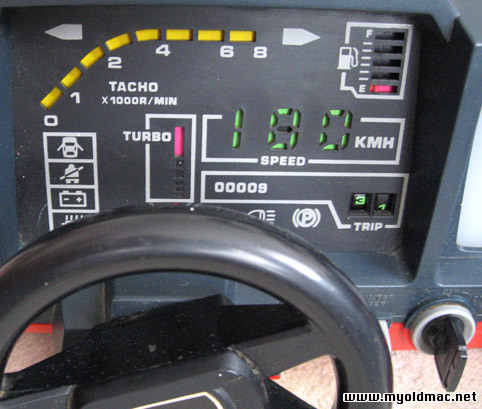 Tomys Turnin' Turbo Dashboard in great condition, tested (1983, Lights, 4 D Batteries). Fully operational (tested has moving roadway cars trees and crash effects) takes 4d batterys, not included. Please see the Photos. 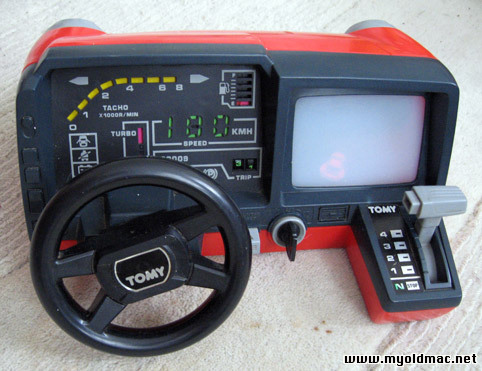 Fahrsimulator im "Tabletop" Design, gebaut 1983 von Tomy. Getestet und voll funktionsfähig. Wird mit 4 D Batterien betrieben (nicht enthalten).